If you experience a breakage or loosening of any of your appliances please call our office as soon as possible. Please do not come directly to the office. By calling us first we will be able to schedule a time to see you. If you have a scheduled appointment already, please call to let us know that you need something repaired so that we may add additional time to your appointment if needed. If you need assistance after hours, please call our office phone line and leave a message on our emergency service so that we may contact you. Please be sure to leave your name, phone number with area code, and a brief message. 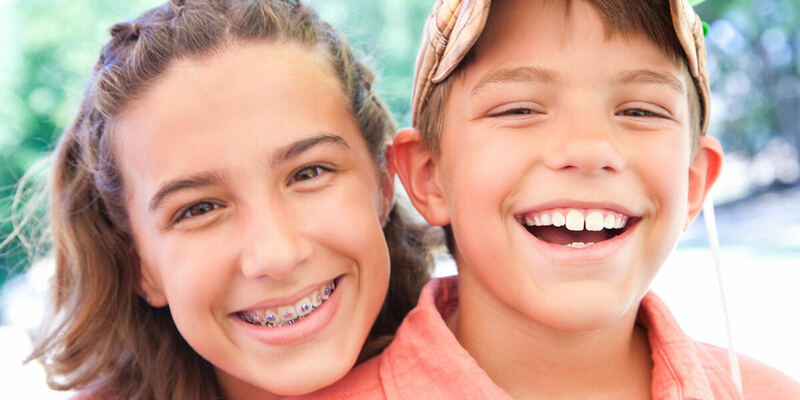 Non-prescription pain relievers, such as acetaminophen or ibuprofen, can help with the temporary discomfort that sometimes occurs for the first day or two after an orthodontic adjustment. A diet of soft foods for a day or two can also be helpful. There are two types of ligatures that may be used to attach the arch wire to the brackets. They may be tiny rubber bands or small, thin wires. If a rubber band ligature comes off, it may be possible to put it back in place using clean tweezers. If a wire ligature comes off, it can be removed with clean tweezers. If it is poking the mouth but is not loose, it may be possible to bend it back down away from the tissues with a Q-tip or clean pencil eraser. Let our office know about the problem so that we can decide if we need to see you before your next scheduled appointment. Non-medicated orthodontic relief wax can be placed over brackets or wires that may be irritating the mouth. Dental floss, an interproximal brush, or a toothpick can be used for removing food that gets caught between teeth or wires. Sometimes tying a knot in the dental floss before threading it through the brackets can help to catch and remove the food. If a wire is out of place and poking the cheek, use a Q-tip or pencil eraser to push the wire against the tooth. If this is not possible, or if the wire is still uncomfortable, place wax over the end of the wire and call our office to set up a time to have the wire adjusted and put back into place. Rinsing with warm salt-water several times a day can help to heal sores in the mouth. To lessen discomfort, topical anesthetic treatments, such as Orabase or Ora-Gel, can be applied with with a Q-tip to any abrasions or sores in the mouth. For minor sores in the mouth, Peroxyl, an antiseptic rinse containing hydrogen peroxide, can be used to reduce inflammation and prevent infection. Use Peroxyl up to 4 times per day after brushing. Refer to the product label for specific instructions.